Spring is here! The birds are chirping and looking for a place to nest. Join U.S. Fish and Wildlife Services Ranger and Dickson Mounds staff to learn about bluebirds and build a bluebird house to take home. 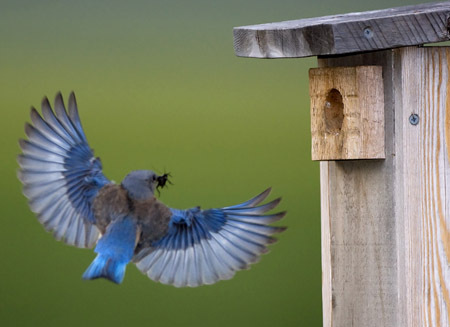 The program will be held at Dickson Mounds Museum, 10956 N. Dickson Mounds Road, Lewistown, with an optional hike to view bluebirds in the wild afterwards. The program is free. All materials and supplies will be provided. This program is for kids ages 8 years and older with an adult. Maximum two children per adult. Registration is required by Wednesday, April 25, 2018. Space is limited. Call 309-535-2290 or email illinoisriver@fws.gov to register or for more information.